After years of continued growth, Oral Surgery Associates of Chester County stands poised to improve patients’ health and happiness for generations to come. Shortcomings in a person’s bite can have a troubling, and sometimes even crippling, effect on an individual’s ability to enjoy life. Maybe it’s an older woman who has spent severa l years forgoing some of her favorite foods because of poor dentition or missing teeth. Or perhaps it’s a young man whose impacted wisdom teeth have begun to cause pain or disrupt the alignment of his other teeth. Or maybe a severe overbite has hampered a young woman’s abili ty to chew or speak—and, besides that, she just doesn’t like how her misaligned jaws make her look. Oral Surgery Associates of Chester Co unty has spent the past f ew decades listening to patients tell stories about how these sorts of complex oral and maxillofacial problems have affected them— and then providing surgical solutions to change their lives for the better. Today, the practice’s team of board-certif ied oral surgeons offers a full gamut of surgical services, ranging from wisdom-teeth removal and realigning improperly positioned jaws t hrough orthognathic surgery to dental implants, including the grafting of bone when needed to support the implants’ placement. Oral Surger y Associates of Chester County traces its roots to its dynamic founder, F rederick C. Disque, D.M.D., who retired from the practice only four years ago. The practice has since grown to include four hi ghly skilled, board-certified oral surgeons—Dr. Gustainis, as well as Amin Kazemi, D.M.D., M.D., Cynthia Trentacosti, D.D.S., M.S., and Michael Walker, D.D.S., M.D.—who Serve patients at two state-of-the-art offices in West Chester and Kennett Square. Having joined the practice in 1982, Dr. Gustainis has seen the profession evolve considerably, both in terms of the surgical tools and techniques and the emergence of 3-D imaging technologies to enhance surgical planning. In his mind, though, dent al implants represent the single biggest quality-of-life improvement the practice has been able to offer patients. Oral Surgery Associa tes of Chester County was one of the first practices in the region to offer dental implants, dating back to 1986. Dr. Gustainis has also watched the practice “stretch its legs,” not only by adding seasoned s urgeons such as Drs. Kazemi and Walker, but also by opening the roomy, new office location in Kennett Square to replace an older offic e. While the new space has enabled the practice to add plenty of creature comforts for patients and their families—a full coffee bar in the waiting room, for example—it also has larger treatment rooms to accommodate specialized equipment. This includes an anesthetic mach ine used to deliver sevoflurane, an inhalation anesthetic popular in pediatric dentistry. 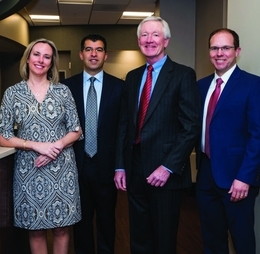 Each of Oral Surgery Associates of Chester County’s four surgeons brings unique talents and skills to the practice, both in and out of the operatory. Dr. Kazemi says this kind of diversity creates an environment in which new ideas abound and collaboration happens naturally. Diversity aside, the four surgeons also share a number of common traits—namely, a devotion to their craft, and a genuine desire to take care of people. Looking to the future, Oral Surgery Associates of Chester County will continue to solve its patients’ dental woes, just as it has for generations—and as it will do for generations to come, according to Dr. Gustainis. “I’m seeing a trend among my patients now,” he says. “As I’m finishing up a consult for a wisdom-teeth evaluation, the parent of the patient will turn to me and say, ‘Do you remember me?’ I’ll usually say, ‘You do look familiar,’ because I’ve seen a lot of patients over the years. Then they’ll tell me I took out their wisdom teeth 20 years ago. Sometimes they also say, ‘You did surgery on my mother or father, too,’ so in some cases I’ve treated three generations of one family. 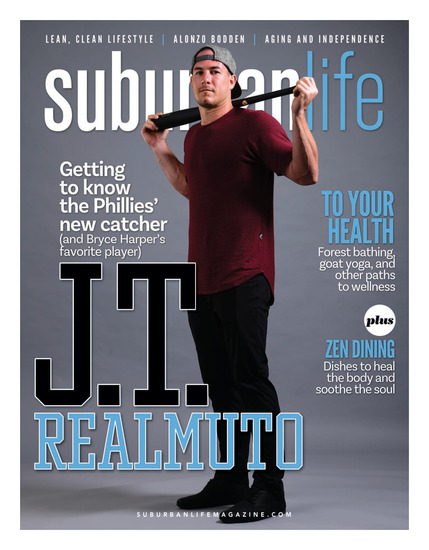 Published (and copyrighted) in Suburban Life Magazine, February 2018.